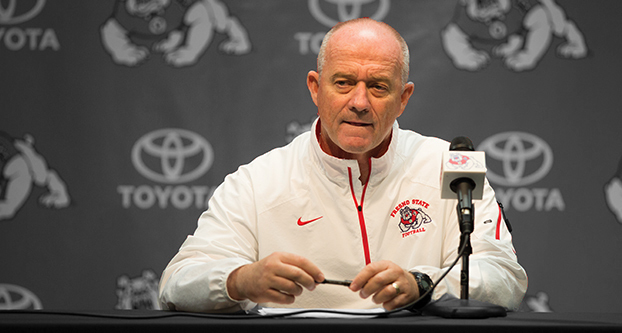 After just about two seasons as head football coach at Fresno State, Jeff Tedford has led the Bulldogs to a level of success the program hasn’t seen in quite some time. The Bulldogs have won 10 games in back-to-back seasons for the first time since 1988 and 1989. So would Tedford really leave Fresno State for greener pastures? It may seem hard to believe that the former Bulldogs quarterback would leave behind a program he helped resurrect after a dreadful 1-11 season in 2016 — the worst in Fresno State football history. But, with the bluster of college athletics being about the “student-athlete,” this is a business after all. Fans shouldn’t be naive in thinking Tedford won’t bolt if the right opportunity comes knocking. Tedford is reportedly popular among candidates being looked at to fill a number of presumed head coaching vacancies as the annual coaching search gets underway after the end of the season. Perhaps the most prominent school that has been mentioned is the University of Colorado. The Buffaloes recently fired Mike MacIntyre after the team went 5-7. It makes sense. Colorado presumably can offer more money –Tedford is currently making $1.6 million a season in base salary with performance based incentives that can increase the value of the contract — and top high school players may be more inclined to play for a team in a conference with tougher competition. Going to Colorado would allow Tedford to return to the Pac-12 where he coached the University of California, Berkeley for 11 seasons before being fired in 2012 after going 3-9. Of course, back here at home, having better attendance at Bulldogs home games would also help, even if just a little. Imagine the frustration for Tedford, who is at the helm for win after Bulldogs win, to come to Bulldogs stadium only to see a sparsely attended Senior Day game that saw just over 26,000 people in the stands. By the way, Bulldog Stadium has a capacity of over 40,000. If winning won’t make the fans show up, what will? It’s a tough question for which likely nobody has an answer. 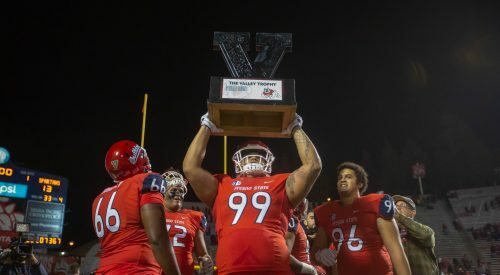 As long as Tedford continues to win, his name will be linked with other higher-profile schools whether Fresno State and the fans like it or not. It’s up to Fresno State AD Terry Tumey and President Dr. Joseph l. Castro to keep the man Tedford here. After all, he is largely responsible for the ‘Dogs returning to glory.